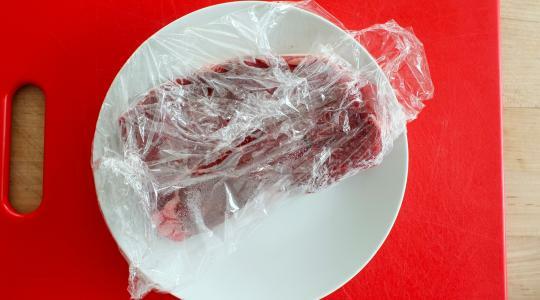 Place the meat in the freezer and freeze until firm around the edges but with a little give in the center, 30 to 40 minutes (this makes slicing easier). 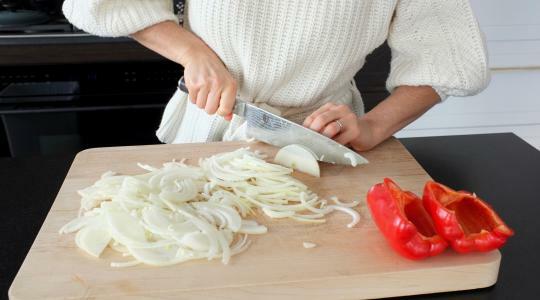 Thinly slice the onions and bell pepper. In a large pot, heat 2 tablespoons of the oil over medium-high heat. Add the onions and stir to coat in the oil. Cover with a tight fitting lid and cook, stirring occasionally, for 5 minutes. Reduce the heat to medium and remove the lid. 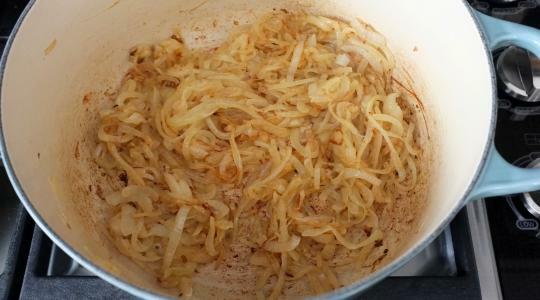 Continue to cook, stirring often, until the onions turn a light golden brown, 5 to 7 minutes more. 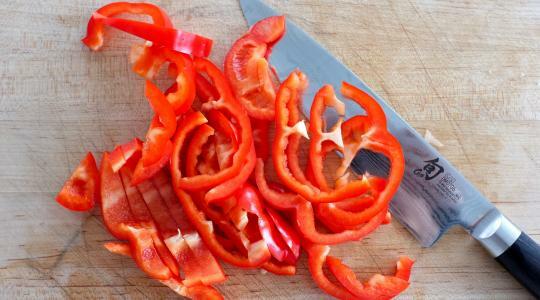 Add the bell pepper and ½ teaspoon of the salt and cook, stirring often, until tender, 6 to 8 minutes. Remove from the heat. 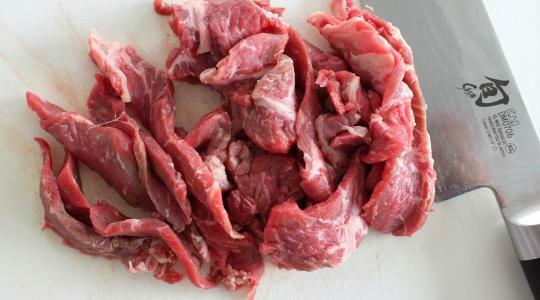 Take the meat out of the freezer and slice it as thinly as you can against the grain. In a large skillet, heat 1 tablespoon of the oil over medium-high heat. 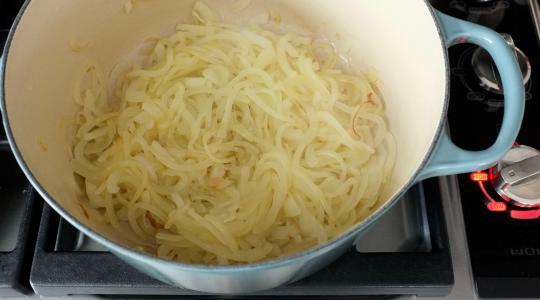 Add the garlic and stir it around to flavor the oil; remove and reserve the garlic. Add half of the meat and spread it into a single layer. Season with ⅛ teaspoon of the salt and ⅛ teaspoon of the pepper. Let cook for 1 minute undisturbed, then quickly stir to cook the raw spots. 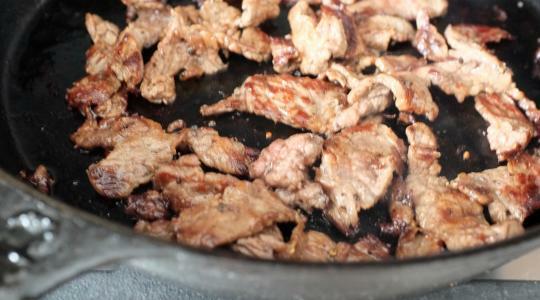 Now let cook, stirring once or twice with a metal spatula, until the meat is crisped and browned at the edges, 3 to 4 minutes. Transfer to a plate. Repeat with the remaining oil, garlic, meat, salt, and pepper. Adjust the oven rack to about 6 inches from the top. Heat the broiler. 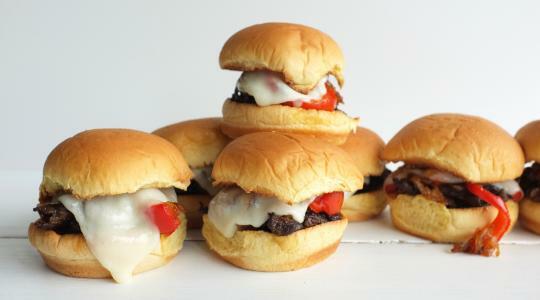 Split the buns and place them, cut-side up, on a sheet pan. Broil for 1 to 2 minutes, until golden brown. 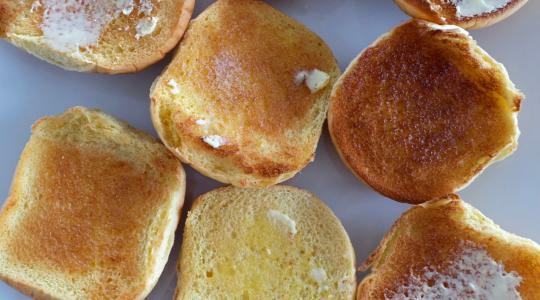 Butter the buns. Remove the top halves to a plate. Dividing evenly, pile the meat and the onion-pepper mixture onto the bottom buns. 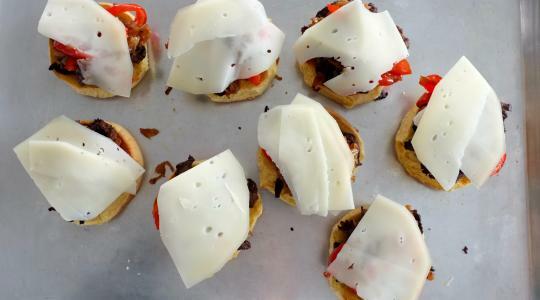 Fold each half of cheese over and lay it over the filling to just cover. Broil for about 2 minutes, or until the cheese melts. Add the top buns. 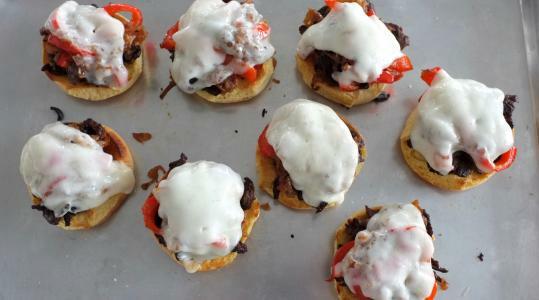 Return the sliders to the oven to reheat right before serving.